So here we are again. It's gaming's biggest, ballsiest and most revered entertainment show in the world, and to kick things off on the Bethesda front, the first title I wanted to cover was the new, improved and upcoming DOOM title. 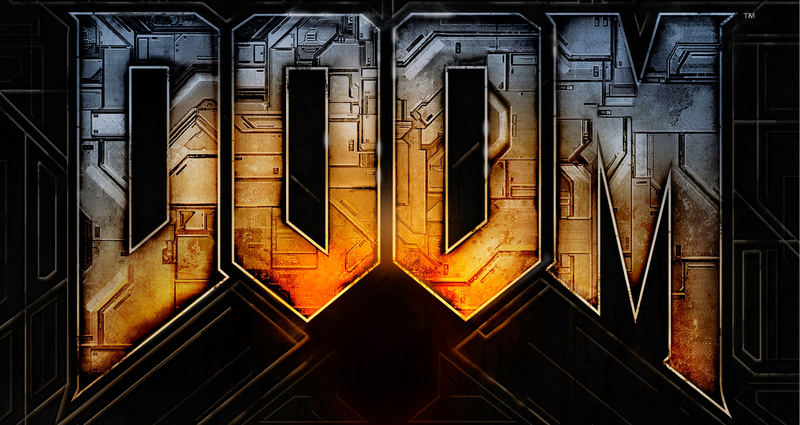 At first glance, the new Doom wasn't what I was expecting to see from a Doom title at all. It felt nothing like Doom 3 (which I loved by the way) and seemed to lack any kind of intimidating features or horror elements, but after observing what the game actually had to offer and was really about, I quickly realised just how much of a treat we're all actually in for. First thing's first, the movement animation really felt retro to me. Now, I don't mean PS2 retro, but more along the lines of original Doom retro. ID have nailed the "bob" movement and have somehow remained true to the original title by increasing the base gameplay and movement speed to something only an adrenaline junkie could really adapt to. Gameplay feels fast. Really fast. It's like being on a Roller Coaster on fright night with no sign of the ride ending.There are no brakes, you have little time to react (outside of what the weapon select menu allows - it temporarily slows down time but doesn't prevent you from taking damage) and are constantly jumping, blasting away and evading every fireball, claw and laser headed your way. 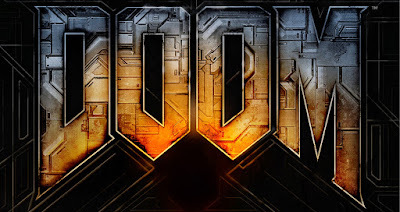 It;s clear this latest interpretation of Doom has taken a lot of inspiration from the Unreal series, now allowing you to double jump across areas while moving around at incredible speeds, and the whole presentation just felt like a really gorgeous looking Hellish frag-fest. Everyone loves to have their very own Demonic meat sacks to saw through, blast away and disintegrate right? That's what I thought. It's incredible how responsive this new title feels just by watching it. Double jumping across a massive gap in the ground and instantaneously pulling yourself up on the ledge the other side, only to repeat the whole process again a split second later, before reaching your target and finishing them off with a truly brutal melee attack looks incredibly rewarding. Additionally, each enemy type seems to allow for multiple melee takedowns once they've dropped beneath a certain health threshold. Jump down towards an enemy and you can land on their shoulders before kerb stomping their shiny head into the ground. You can grab a Demon's skull with both hands before ripping it apart, inevitably splitting them down the middle to reveal their spinal cord and bloody insides. You can also grab their leg, sling them in the air and proceed to punch them across the room, beat them around the head multiple times before twisting their neck all the way around......and even rip out an enemies heart before feeding it back to them, watching on coldly as they explode from the inside-out, because oh, they live (and die) with explosive organs. The weapons are also pretty insane, progressively growing more violent the bigger they get. Weapons range from Chainsaws to Plasma Assault Rifles, to Shotguns, Super Shotguns and really F***ing big guns. Minigun? Sure. Green energy gun that takes up maybe a fifth of the screen? Yea, ID can do that. Like any decent shooter though, DOOM has multi-player and although some modes are already set in place from the word "Go", the coolest new feature of the series that I feel has some incredible potential is the fact you'll now be able to make your own levels (with creatable game logic) Timesplitters style. You see, ID have got this groovy little thing in place called SnapMap which basically allows you to snap chunks of map together (big and small), along with interactive objects (such as flammable gas hazards and explosive barrels) and Demon spawn points to create all kinds of dangerous situations to battle your way through. Doom has always had a great modding community behind it and now things have been made even easier for those said contributors. With the options now there to create and share your own levels, I'd be very surprised if a content rating system wasn't also put in place also. It'd make sense for it to show what the best or most loved mods will be, with community submitted recommendations and reviews as a viable option to really drive those people forward, who want to fully take advantage of this new creative feature. For me, it may have been a long time coming, but DOOM looks absolutely mental. It's fast paced, entertaining, violent and grim. It has its own unique style, sounds incredible with its dark, deep and atmospheric, droning bass and not to mention how sleek it looks graphically. There's little else to say right now, other than it looks like an absolute blast to play (in more ways than one).